Are you willing to make a huge amount of money? Well then, mobile selling business is the best option for you. The growth of mobile selling business is very high and people are taking lots of care about their mobile and are always looking for a good deal. The demand for high-end mobile phones is very high around the world. Cause people do not use mobile for communication purposes only, but they want the best features for their phone. Hence, a mobile selling company is earning huge amount today. 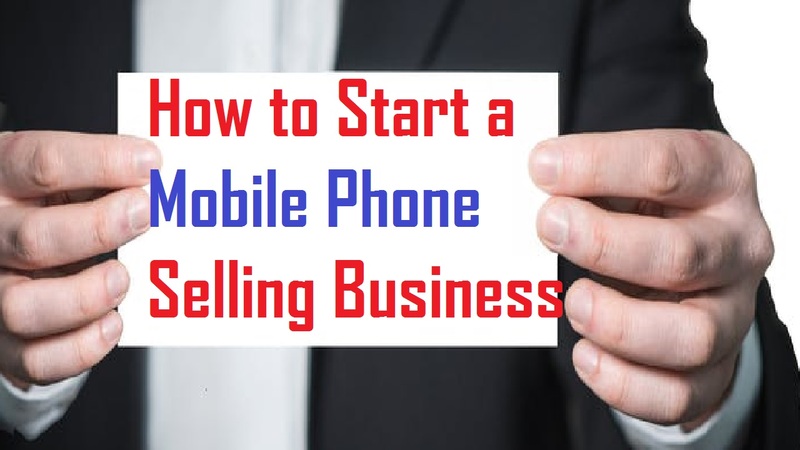 If you want to be a businessman of a mobile selling company, then you must train yourself first. You could do internships in large mobile companies. This way will get experience and you will get to know how to handle your customers. Now let’s get down to some of the facts you will need to know to open a mobile selling business. The first thing that you need to take in consideration is about your investment. You need to keep in mind the business that you are starting is not a small business so you will be needing quite of a big amount. If I give you an approximate amount, that would be around in Indian money Rupees 500,000. This amount is enough for you to start a small business with an adequate space for your shop. For accessorizing your shop as well. Now that you have deduced the amount will need, let us now consider the location. For a mobile selling business location is a big factor, where you locate matters big time. If you locate in the wrong place customers might not even notice you and you will have an in huge loss coming your way. You could locate in a big shopping mall or you could open a small shop in your area, just as an individual. Decorate your shop with perfect lighting, painting, Air conditioner, camera etcetera. Your shelves should be made of glass so that the mobile phones look more attractive. You need to have a good security for your mobile phones. Know how to behave with your customers, educate yourself. Educate your employees. Hire the employees who know these stuff. Your customers will not be attracted with you or your employees not knowing anything related to the mobile that they desire to buy. You could make individual t-shirts for your employees. Find a distributor, who can get you the mobile phones at a cheaper price. Your distributor must be reliable. Do not let him fool you by selling you fake phones. Check his background. Market your shop by giving ads at yellow pages and other advertising mediums. Advertise your store by selling ads at local newspapers. Open up a website of your store. Put the prices of your mobile phones. Put down your store’s location and all the other necessities. This way, it will be easier your customers to reach you. Mobile selling business is a tough business but if you have the dedication to make money no one will be able to stop you. Do not get discouraged if you do not get much success at first. You work hard, you will grow as days will pass by.